Professional Photographers of America has announced the Grand Imaging Award 2019 finalists. 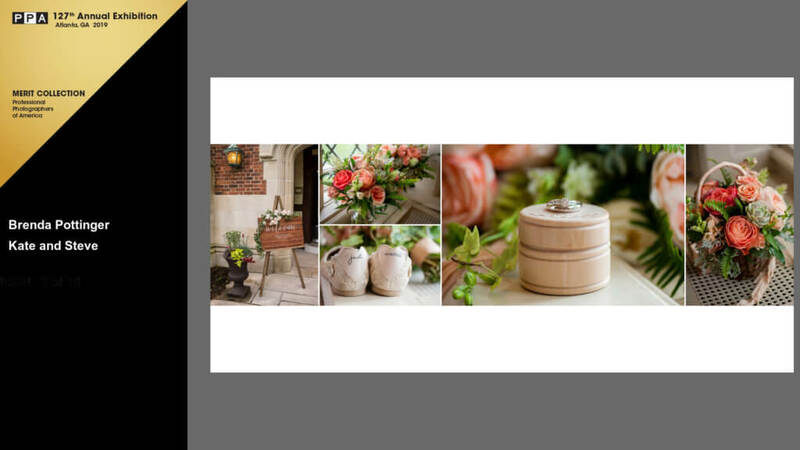 Brenda Pottinger of Pottinger Photography in Newport, Kentucky was named top 10 in the event album category. The 100 finalists’ images have been deemed the best of the 2018 PPA International Photographic Competition. The Grand Imaging Award finalists, 10 each in 10 categories, were selected from 5,200 entries judged by a panel of 32 jurors. All finalists honored to be in the top 10 will be recognized on the stage at Imaging USA 2019 in Atlanta Georgia.